Woodridge Green Space is in the seaside community of the Highlands, one of thirteen communities that form the Capital Regional District of British Columbia. The forested linear green space is at the end of Woodridge Place. 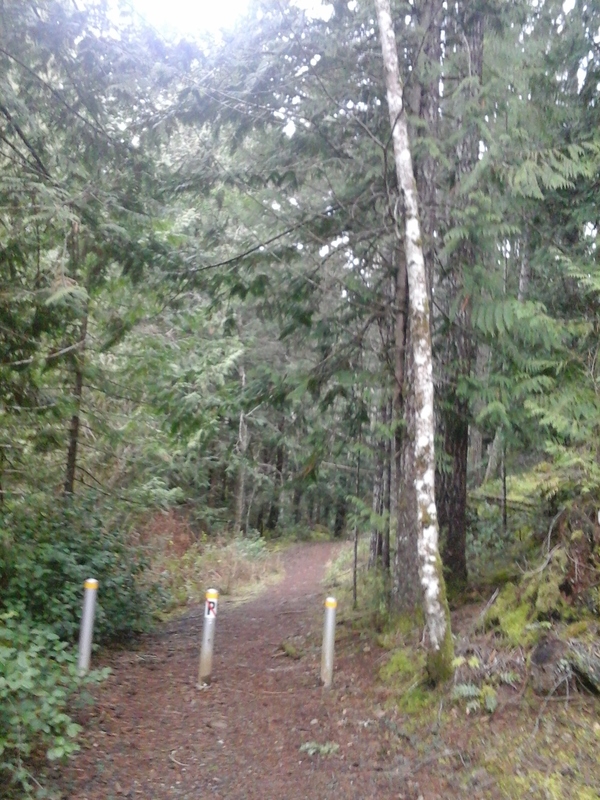 The trail connects to Mount Work Regional Park as it forms part of the fire road leading into the parkland. Enjoy a stroll over through the Douglas-fir, arbutus and Garry Oaks of this rural parkland. There are some large sword ferns among the mossy slopes as well as many other plant species. Like many areas of the Highlands, this green space is peaceful and tranquil. Woodridge Green Space can be reached from the Trans Canada Highway. Exit to head north at the Helmcken Road Exit; the same exit used to visit the Hospital. Stay on Helmcken Road until you can turn left onto Burnside Road West. The junction of Burnside Road West with Prospect Lake Road will show the sign for Francis King Park which you pass through on the way to Eagle Lake Park. Continue along Prospect Lake Road until the junction with Munn Road. Once on Munn Road proceed with care on this very sinuous road to turn at Woodridge Place. Follow Woodridge Place to the end of the road. There is limited roadside parking.